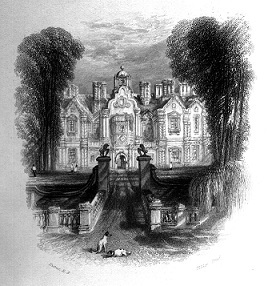 Haunted Yorkshires stories page. These stories are fictional and Haunted Yorkshire do not claim to have written any of these stories. So scroll down the page for more information. INTRO: This particular story occurred just about a couple of years ago. I was until recently quite reluctant to share my experience as my friends, who also shared it with me having long since chosen to forget the incident(S) for fear of rejection, criticism and humiliation. The story itself is hard for me to write because remembering it brings back so much fear to me that I try and put to the back of my head, but can't quite throw away! Firstly, I have chosen NOT to name the exact area where these stories actually occurred. It’s primarily because I do not wish to advertise such a horrible and potentially dangerous place to anyone but instead will just tell you that it takes place in the north east of Scotland, just outside of Aberdeen City. For the place names I will leave blanks and basic references. Sitting in the college canteen one morning, my friend hurriedly approached me and told me of a supposedly haunted wood near her house. Immediately we where captivated, if a little skeptical! The story she told was of a young man in the 50’s who got sick of life, and took his own by hanging himself from a tree ”his ghost can still bee seen!” blah blah blah! So at the weekend we armed ourselves with cameras, warm clothes, hot tea and lots of guts! The woodland strip is in a strange place. It starts immediately behind a council estate and opens out onto a series of large fields. It has a thin muddy path running through it, and a series of 7 various gates and fences throughout giving its infamous name “THE SEVEN GATES!” well well well! At first we were rather disappointed as we saw nothing, so we came home and decided to wait for an hour or two till it got to midnight before we returned. We did return and to this day I wish we had left the horrible place for good. I decided that it was a lot of rubbish so said my goodbyes and ventured alone down the woodland path. Stopping to relieve myself of a full bladder, I felt a shudder run down my back. I felt aware as if something was watching me. I looked up to see a horrid sight. Running towards me at grace pace was what can only be described as a dead child. It was around 3ft tall skeletal, and had a sallow face. It suddenly jinked right and disappeared into the darkness. Suddenly I heard screams in the distance. It was my friends screaming! I ran like a bat out of hell towards the screams and found them all hugging each other, crying their eyes out. They have never told me what happened to this day, but one recently let it slip that suddenly they where surrounded by dead children who where just standing there staring at them. We went home shaken and frightened! I thought it was the END of that place but something made us return, some kind of force, like being pulled in by a fishing line. We felt the need to go back so we did! Again, for the first few hours nothing strange happened! Then suddenly out of nowhere the most intense feeling of evil hit us. It was like a wet blanket being dragged over us. We felt out of breath, scared and felt the most unpleasant feeling of hate inside us. We started yelling at each other and lashing out, saying the most disgusting things to each other. 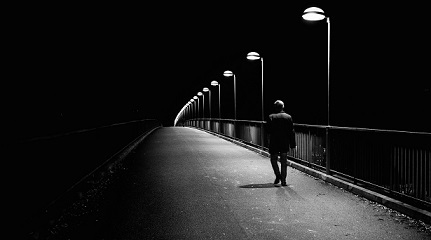 I noticed my friend in the far distance walking of to be alone he was visibly upset. And so we sat, angry and scared at a small opening in the wood. Every so often I would look up at my friend who had gone to be alone. He was around 50 ft away and illuminated by the distant glow of a farm house. Soon I realized I was alone with one other friend. The rest had gone home. Three of us remained. Me, my friend and the other friend 50ft away. I looked up at my friend in the distance, I shouted to him”Lets go I’m bored and wet, and pissed off!” He shouted back “Okay hold on!” He started to move and when he got to within 40ft of us, suddenly a TALL man, maybe 8ft tall appeared from behind a tree BEHIND him and was advancing on him fast! It was a man, it didn’t glow or float or appear it was an unnaturally tall man. I looked at my friend by my side and said “What am I looking at?” he replied “The tall f******* behind____! ?”…”Yes!” I said…”I don’t like him much!”…”Nor do I!” And we ran faster ran we have ever ran in our lives. We didn’t feel guilty about ditching our friend till we got home. But we phoned him and discovered he was still alive. It was a terrifying experience but was NOTHING compared to the THIRD night! I have read MANY ghost stories they ALL end on climax but you will never read anything as terrifying as this! We returned but only the four of us. Again the usual nothing! We actually assumed that the place was no longer haunted! How wrong we were! It was closing in on 12.30 am, we were all ready to go home but I decided to stay. I wanted to provoke something by being alone. So my friends told me that they would wait at the bottom of the path for me. I stayed by myself for around 15 minutes and started to head back to meet my friends. I saw them in the distance waving to me frantically, they weren’t screaming or yelling so I assumed they where just being idiots and having fun. Then my mobile phone started ringing, so I answered it and was greeted by frantic screams of my friends who where only 100 yards away from me. It struck me as strange how they where screaming down the phone but I couldn’t hear them from THAT short distance. All I made out was “Run…run…can't you see them! Just run…please run…!” It was hysterical screaming. I ran down to them and they were all crying and hugging me they dragged me home without saying another word. When we got home they told me what they had seen. Apparently I appeared from the shadows into the light where they could see me and suddenly they saw around 6 or 7 seven skeletal kids come OUT of the trees and run towards me. The kids encircled me forming a “ring” holding hands and dancing round me. They broke the ring and started pointing at me and making gestures towards me, gesticulating as if they were going to hurt me.
" A certain medical student was found guilty in the late 19th century of exhuming literary hundreds of bodies for medical research. He was discovered when rumors of a mass grave came to light, on “___ Farm” in a woodland and area east of the city"
THE “___Farm” where we had stupidly visited to try and see some ghosts a year before. I remember dropping the book on the floor as a chill went up my spine! Then I remembered the skeletal children and sheer dread of that horrible place, and a tear of fear came to my eye! "May her soul rest in peace". Rose was her name. She was my neighbour. A stroke of the heart they said, but I know it was not so. Poor Edward will be all alone. Their dog died too. A month ago, the dog was poisoned they said. Rose loved her dog, never leashed it. She blamed me for his death. She said I poisoned him. The dog was a menace, ran all over the town, chased my cat and her kittens. My rose garden was his digging ground, all my beautiful roses…… They were the best grown in town. I won every year at the flower show. By the way I am Miss Storm. I am 71 years old living with my cat Precious and her six kittens. I have lived in this town, this house and garden all my life. Ding, Dong !!! That’s the doorbell.
" Well Good Afternoon Inspector, How are you? ", I greeted Inspector Brown. "Good Afternoon Ma’am, we were going through Mrs Rose Smith’s belongings, and investigating her death. ", said Inspector Brown.
" Come in, Inspector, tea and cookies." "Quiet tragic, and so young, 30 and what a way to go. Feels like it is my time to go. But here I am but she is down there. You said you were going through her belongings, what are you looking for?" "Well ma’am, it seems she was sitting in her bedroom, her back turned to the door. Her husband Edward came in. He did not find her around so he stepped in to the bedroom and quietly went to her and kissed her neck fondly. And she popped her eyes out, gasped for breath and before Edward could see all this she collapsed in the chair. She had this book in her hand." The Inspector handed me a book, " The Neck In a Noose".
" I don’t understand what could have made Rose to die in such a state of terror" said the inspector. Well I think I need to ask some more questions to Edward. Maybe it’s foul play. But the coroner said that she died of shock. I personally checked the scene of death, there was nothing out of place. She was seated in an arm chair, her back turned to the door, facing the gleaming sun outside. And death embraced her with horror and anguish written all over her face." I listened patiently to the Inspector. "Yes, I think it was her time to go. She had a weak heart." "Well I have to go too, Ma’am, thank you for tea. I needed it after long funeral under the hot sun." "Inspector can I keep this book, as the last remembrance of Rose." Oh sure, I guess you knew her better than all of us. I am sure she would have liked you to have it. It has some initials on the first page, C S , mean anything to you ?" "Not that I remember, Inspector. She was Rose Smith – R S."
"You are right C S really means nothing." See you at the flower show next week. I hope you win this year too. Bye" . I waved the Inspector good bye and carried Precious inside. Now let’s see what we have here. I opened the book found a page slightly loose, I guess Rose was reading this page when she collapsed. It read," my few hours remaining. I am going to be hung, for a crime I don’t remember doing. My hands tied to my back, the metal intensely piercing through my flesh. Walking through the dark halls, smelling the stench of dried blood and sweat. Foot prints all going one way, all towards the dungeon of death. My head will be covered. I will see nothing, I have stopped seeing a long time ago. The dark prison cell was dark all the time, it was like seeing nothing at all. The noose will be put, the rope……. So deep and mighty, it will tighten slowly, the threads pulling together, stretched clasping and holding my neck. So strong that my skin never felt being pinched so hard. It will draw out all the air in my lungs, my throat, my mouth will be so parched. My neck so lofty which held my head high, will disfigure, will detach from my dying carcass. The blood vessels, capillaries will BURST……. Edward kissed her neck from behind at this very moment. She shrunk in fear. She always had a weak heart , jumped when Precious scratched her window. My roses would die if I had not stopped that mutt. She would tell everybody she threatened. C S is me, Claire Storm my maiden name. I am not an artist, nor an art collector, but appreciate the finer things in life. The meticulous details which normally one tends to overlook. This habit of minute scrutiny of things can turn into a nightmare sometimes. I was a regular visitor of a particular art gallery. Every week there used to be new displays, held by different artists some were very prominent, some were novice. Visiting the gallery was time well spent in the evenings for me as I lived alone. Every one knew me there and appreciated my comments as a critic (though I was not). I just said what I saw and felt. One evening as I was going through a new set of displays, I saw this painting of a mirror. An exquisite gold mirror- its frame work was so simple yet so intricate in all details. It had a woman’s head gilded on one side with a long braid at the corner, then at bottom there was a body of a fish and the other end was the other half of the face, very distorted. The mirror was plain and clear. It was an unusual subject for a painting. I was very impressed with the artist. I asked him how had he decided on this theme. The artist honestly said that he had not painted this, but he had found it abandoned on the road side. He had picked it up, restored it a bit and put it up for sale. I guessed that’s why the other half of the face was not very clearly restored. I wanted this painting. The artist gave it to me without any hesitation. I was a very happy man and placed it, in the centre of the wall of my small apartment. I placed it in such a way that I could see that painting from any corner of the apartment. Late that night I was admiring the drawing with a magnifying glass, appreciating all the finesse when suddenly I felt that there was a shadow in the corner of the mirror. I was petrified. I was sure it was not there before. I looked again , there was a shadow. Maybe it was there, I had missed it before. The next evening I had invited some friends to appreciate my prized painting. I was explaining to them the fine details and was deciding on the age of the painting, when I looked again in the mirror, there was no shadow. We were enjoying the evening, with conversations about various artists, but my eyes were on the painting. After a late night finally every one had left and I had decided to look at the painting again. As I returned from my bedroom with my magnifying glass, I saw the shadow, with my naked eye. This time it was bigger than before. "Ahhh! !," I gave out a cry in terror. I kept on staring at it, and was too scared to let it out of my sight. I sat gazing at it, maybe it was telling me something or was somebody coming out of it ? I sat there all night, all day mesmerised and was hoping to see someone coming out. I had not eaten, I had not called my workplace, I just sat and stared at the mirror. I could feel the shadow growing slowly, But I could not see any form. Was it a man or a woman? Maybe it was the woman gilded on the frame. If it was true, it would be so wonderful. She was a princess, a maiden with stunning features, long flowing braids, and was engraved in gold. 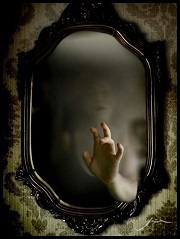 Suddenly I felt that I had to touch the mirror, so I walked towards the mirror, and just as I was about to touch it. My front door stood wide open and it was that artist from whom I had bought the painting. He had rushed in, threw me on the couch and ripped the painting with a knife. The entire apartment was deafened by a loud chilling cry. The artist had found the origin of the painting. It was a eighteenth century painting, based on a legend that it was a gateway to the unknown dark side of the world. Anyone who had gazed it for a long period of time, had found himself on the other side. The last owner too had disappeared under mysterious circumstances. So it had been left abandoned on the road side and it was waiting for another prey. It was that time of the year when you feel the need to see the world around you. The end of spring and the beginning of summer. I was going to enjoy such a galore of the nature by going to a small town far away from the city, where people still follow the old fashioned life. Where there are fields, cows grazing and beautiful mountain tops covered with green belts. I had read about a quiet place called the "Silent Valley." I guess the name says it all. So I decided to go camping with all the essential tools for survival and my fishing rod. Just to be completely in tune with nature, so no more canned foods for a while, only the best which nature provides. The walk was on a steady narrow path away from the main highway. Enjoying the view through the mountain I saw the Silent Valley, magnificent as the book had stated. In the centre was the huge lake with houses all around, some areas very densely vegetated, rest barren. Well I was tired and needed a place to stay, or should I set up my camping gear? I thought. I wanted to know if there was any fear of wild animals. But the strangest thing I noticed was the place was very quiet. "Of course it’s going to be quiet, it is called Silent Valley, how can I be so foolish?" I said to myself. But there was this stillness around me. I started walking fast with a bit of extra energy and PHEW !! !… I found a small inn, called……guess…? Silent Inn. An old man standing in front of an old T V set and drinking. The transmission was poor but he stared at the screen very intently. "Good Morning, my man. Got any place where I can stay. Pretty tired from the walk". The man grinned " You are at the wrong time of the year, this is fishing season, no rooms here, all booked this season." " Can I camp out by the lake? " " Yes if don’t mind being eaten by the alligators, wild animals. And you should not be staying alone Sir, they are ghosts here." " Oh ! I understand the wild beasts in this terrain but ghosts? That’s very strange. The travel guide did not say that there was a haunted house here." "Only at night Sir, he grinned with all the yellowing in his teeth. " "But you have to give me a place to stay, I am all prepared for a fishing trip, I don’t want to go back." He scratched his grizzly head for a while and said you go and stay in my house. It’s not very good, but comfortable as a body in a coffin, very snug. It’s a mile down by the lake. Just follow the road you cannot miss it. But it will cost you extra". It was fine by me, all I wanted was a holiday." Sure thing, No problem." "You carry on, he said I will catch up with you later, I have lots of customers coming." So I was on my way to this guy’s house. I did not catch his name, but hey no problem, he was a kind of a guy you can’t miss. I walked by the lake, selected a shady spot and relaxed in the afternoon sun. I wondered why I saw no one at the lake, I thought it was the fishing season? I guessed the fishing is at the crack of dawn. 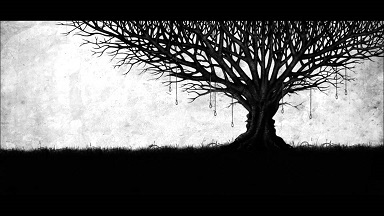 I was so tired that I fell asleep under the tree and woke up thirsty. It was all dreary and bleak. The moon was hidden in the clouds, the lake looked magnificent. It was all silent and peaceful. I decided to be on my way to that inn keeper’s house. I followed the road behind the lake and found an old house. It was not illuminated, looked all deserted, I guess he wasn’t home yet. Maybe someone else at home would let me in. I knock and the door was opened by young lady. 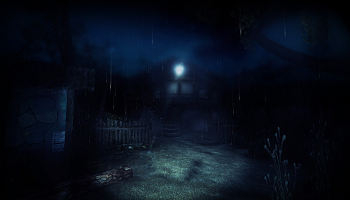 I was taken aback, the house illuminated, with a welcoming smile. "Yes, have you lost your way?" she said in a melodious voice. "The Inn keeper of Silent Inn said it was Ok for me to stay with him for a while." "Please do, care for some soup? I am sorry that’s all I have." I sat and hungrily ate all that was in the bowl. I could not make out what soup it was, peas or cabbage. But it was fine with me. It was a beautiful house, very old and dusty, but I wasn’t really going to complain about housekeeping services. I guess the lady was his wife. She did not speak much just kept staring at me. After the meal, she guided me to a room in the corner. Wished me good night and left. I just felt very drowsy and fell asleep on the bed. All of sudden I woke up, someone was calling out. Who was it? I did not know but it was a sound of distress. I ran out of the room and rushed towards the sound. It led me through a room, then a passage, each turn into a darker hole with the voice growing louder. A sudden gust of wind blew, from the other side. Was there an open door ? But from where? That voice of distress had now turned into a sinister laughter, I turned back and ran. I didn’t know in which direction, just ran as far as my legs would carry me. One wall to another, the voice was chasing me, I never looked back. Knocked down unknown objects, ran through the bushes, the shrubs, for how long I don’t remember, and fell into the lake. I woke up at the edge of the lake, a group of campers were looking down at me. I described to them everything, the inn, the house. They said they had been in Silent Valley over a week but had not seen anything of what I had described. Maybe I was in that part of the Valley which had been closed to the tourists for a long time for reasons still unknown. I don’t know what to gather from this. I know what I saw, I remember everything, the winding passage, the sinister laughter calling me towards a door. What was behind that open door? There was a gust of wind coming from there, was it a fall deep down? As I was pondering these questions in my mind, I reached the highway and saw a bus coming. I took a window seat. As I was adjusting the curtain I saw the inn keeper standing , gazing at me, smiling with all the yellowing in the teeth. I always looked forward to the hunting season. It was not because I had the instincts of a killer, but just as an adventurous sport. A sport where you forget the world around you, its just you and your target. This year I won’t be hunting, maybe its time for me to change my sport and just take up meditation. I am not a believer of supernatural but what I witnessed last year was just inexplicable. The hunting grounds where all hunters joined on the first day of hunting, were allotted small cottages depending on what kind of hunting they enjoyed. Those looking for tigers and other wild beasts were into more dense forests. I preferred hunting birds, as it does not give me any fear of the bird attacking in case I missed a shot. All the hunters used to meet every evening to discuss their hunting experiences for the day. It was nice place to meet people and most of us were regulars. I heard from a friend that there was this new hunter living two cottages away from me at the edge of the forest. He never joined us, actually no one saw him either, only heard him shooting at night. Most of us thought, maybe he was hiding from the law. Why would he keep himself so secluded away from all of us? A murderer? A hermit? He had registered under the name of James Stockwell. Next morning I decided to shoot partridges commonly found at the edge of forest. I shot a real big partridge right under the doorstep of this man. My dog brought it to me. I took the bird and went right up to James Stockwell and presented it to him as a good gesture of friendship. He was a huge man, red- haired and red- bearded, very tall, very big, a placid and polite Hercules. He was very well mannered and invited me warmly and offered me coffee. I did not wait to be asked twice and joined him inside his cottage. Then cautiously I put to him some leading questions under the guise of a lively interest in his life and doings. He answered without any embarrassment, told me that he had travelled much in Africa, India and America. Then I talked about hunting, and he gave me exceedingly curious details which he had experienced in pursuit of the hippopotamus, the tiger, the elephant and the gorilla. I said " Those are all formidable beasts?" He laughed and said "Oh no, Man was the worst. Man was often my game." He showed me his rifles, various hides and ivory. But what caught my attention was a black object stood out in contrast against a square of red velvet. "Oh my God, that was a hand – a man’s hand!" It was not a bleached and cleaned skeleton hand, but a dried- up black hand, with its yellow nails, its bared muscles, and traces of dried blood – blood smeared like mud on the bones – cut off cleanly as if by a hatchet in the middle of the forearm. The wrist was tightly tied with iron chain, so strong and sturdy, good enough to hold an elephant in leash. Looking at my astonished face, he explained to me that it was the hand of his deadliest enemy. I could feel a pit in my stomach, but I did not want to show it so I said to him, "He must have been a strong man judging by the muscles on his forearm?" "Yes, but I proved stronger. He smiled. "I put it on that chain to hold him fast." "But that chain is of no use now, the hand will not try and escape." I said jokingly. "It has always wanted to go, that chain was necessary". I thought that joke was in bad taste so I thanked James for his hospitality and went on my way, away from this madman. Two weeks passed I never thought again of this man or his wild fantasy of keeping a hand as a prized game possession. But I did not know that it was not the end. One afternoon my friend came over with sheer fear in his eyes and said that James was murdered. I rushed to his cottage where I saw the police taking down details of the murder scene. James had died of strangulation. His face was swollen, terrified, seemed to wear an expression of awful fear. He held something between his clenched teeth, and his throat was pierced with some kind of iron object, and was covered with blood. The police remarked that it looked like a skeleton had strangled him. I almost gave out a cry but swallowed it down my throat. I looked towards the wall at the spot where I had seen the horrible skinned hand, it was no longer there. The chain hung down, broken. I left from there. In the evening every one was discussing this incident over dinner. It seems that further investigations had revealed that James had bit his assailants hand so hard that he had bitten his finger out and it remained in his mouth when he died. Other than that there were no clues, no fingerprints or footprints. It was a mystery, another baffling unsolved cases in the police files. But I knew, the hand wanted to go back to his owner. "Gosh, I am late again. This time I am going to get in trouble." I dressed quickly and ran into the streets. I ran between apartments, by-lanes and back streets and finally made it to the main junction. "Phew, Victory at last." Maybe now I can start walking like a normal human being and not like a thief who is running from the law. "Hey, mister you late again?" I was astonished when I heard this voice behind me. "Oh, it’s you," I said, catching my breathe. It was little Tim. He sold newspaper everyday, at the corner of the 5th and 6th Avenue. Sometimes his little feet carried him to the main junction. He was very prompt and very professional, and kept an eye on all the happenings around him. I knew him for a while and really enjoyed his company on the days I was early to work. He filled me in with all the local gossips over a cup of hot tea. But today I had no time to chat. "Here you are " he said and threw me "The Daily". I tossed a coin and juggled my way out through the morning traffic. The day turned out well as my manager did not see me come in. I worked on the dyeing section of the ‘Regal Mills’. The rest of the time I was a painter. I sold my canvas to the local art dealers and enjoyed the extra money. Living in the city was very unfamiliar to me, as I was a village lad. Here no one makes an effort to greet you or get to know you. All are in a big hurry to get there. But get where? And when you get there, then where do you go from there. How do you know that you have reached there? All these questions were buzzing in my head as I was returning home after midnight from work. My good friend at work was sick, so I decided to fill in for him. He needed the money and I really did not mind. He had helped me get a job when I was new to the city. It was a chilly night and it had rained a while ago. I watched the main junction- deserted - a shocking contrast to what I had experienced every morning. Where everyday I feared getting run over by a car or buses would squeeze the pulp out of me. But now it was a wonderful site. I was gingerly walking and enjoying the beautiful moon as its reflection glistened on the small puddles. When I suddenly heard footsteps behind me. Maybe he was some guy working late like me and returning home for a hot meal. I paid no attention and continued to enjoy my walk. The footsteps continued, as though it was following me. I thought maybe I would confront the guy and ask him what he wanted? But then this is the main junction he could be going anywhere, maybe he is not following me at all. I was just getting paranoid. Now I turned to the 5th Avenue. From here, there were other roads leading to various parts of the city. Now I guess my friend would have found his way to his destination. But still I heard the footsteps behind me. It was so clear and distinct. I started walking a bit faster and then started running, splashing on muddy puddles and finally reached my door. That was a relief. I peeped to check if the guy was around, but the street was deserted. Well I guess I had lost him. I had a good dinner and turned in for the night. Next morning I was going late to work as I was working on the late shift. I finished my paintings, and set to work and forgot all about the last night’s events. The day passed and was time to go home. I suddenly had this fear in me. Who was that guy following me? I hope he was not waiting for me. I looked around and made my way home. Again at the junction, I heard those footsteps behind me. I had increased my pace, he too did the same. But today I had decided I would see his face and confront him. So I ran to the corner of the shopping area where there was light on the displays. I went round the corner and waited. But no one followed, "I bet he knew what I was doing" I thought. So after a long wait I finally had the courage to return to the 5th avenue. Again he was behind me. Out of sheer fear and anguish I just suddenly turned and said, "Who are you? What do you want?" There was no one, only a newspaper flew away in the wind. There was chill in the air and I was just too terrified to wait in the dark and did not expect to get an answer. The next day I was glad to hear that my friend was back to work so now I was on my morning shift. I was on my way to work, and was looking out for Tim. But instead an old man was standing and selling newspapers. I bought the paper and asked, "Where is Tim?" The old man said that Tim had died two nights ago. A bus ran over him on the 5th Avenue. I was shattered. This young boy had so much to live for and passed away, and I did not even know. A distressful day passed and it was late when I decided to leave. I walked down the cold night when I heard the footsteps again. I don’t know what came over me, I just turned and said, "Tim is that you?" after that the footsteps stopped. I walked along the dusty sidewalk, shoulders hunched, shivering in the harsh cold. I’d forgotten which road to turn on to get to my house. When I finally crept through the front door, I tiptoed up to my attic bedroom and pulled off my jacket. I saw my little sister, Millie scuttle past my door and I assumed she was going to the toilet (she always needs a pee in the night). I opened my wardrobe and swore. Millie gasped and started to tell me off for being rude but when she noticed the look on my face, she paused. I forced open my window and vomited violently outside. In my wardrobe, was a baggy, disheveled face - just a face. Millie thought I was being silly and strolled over to look at what I saw. "No!" I shoved her onto my bed, closed the wardrobe but Millie started to cry. I told her I was sorry and gave her a hug. Took her to her room and told her I didn’t want her to see as it was something for her. It was then she fell asleep happily. Moments later, I grabbed the oldest shirt I had a reluctantly covered the face in it. I could hear a muffled voice saying "let me out, let me out!" but I ignored it and chucked the disgusting thing at the back of my underwear drawer, no-one ever goes in there. Last night, 10 year old girl Hannah, was found dead in her bedroom. "It was awful, she had chunks on her skin missing and bite marks on her body!" claimed a police officer. Who ever did this is disgusting and evil. When they looked closer at this tragic child, they noticed that she was grasping onto a rather lifelike Halloween mask! My great-grandmother lived alone up in the mountains at her cabin. Her husband had died, so she was there all alone. She only had one companion, and that was her loving dog. They both loved each other very much and the dog loved her and comforted her. Every night when she went to bed, the dog would lick her hand to let her know that he was there to protect her. One night, she had gone to bed and the dog had licked her hand like he had done routinely every night since her husband died. But this night was different. She had woken up in the middle of the night because she heard her dog whimpering. She wanted to comfort him and let her know she was there for him, so she stuck her hand out by the bed and she felt the dog gently lick her hand like always. She figured he was just cold so she went back to sleep. The dog's whimpering had woken her up a second time in the night so she stuck her hand out, the dog licked it and she went back to sleep. This happened a third time, and she stuck her hand out and the dog stopped whimpering and came and licked her hand. She stayed awake a few moments afterward and the dog had stopped whimpering. She went back to sleep again. In the morning, she woke up and stuck her hand out by the bed, but nothing licked her hand. She thought that the dog had already awaken and was just in the front room. She rolled over and got out of bed and heard a drip......drip.....drip.....drip, so she walked into the kitchen and turned the handles on the sink faucet, but it wasn't dripping. She continued into her bathroom to take a shower. As she walked in, the drips got louder! She turned and looked above the bathtub and SCREAMED! There, hanging from the light by his tail, was her loving companion, with his blood dripping into the bathtub. She screamed and began to cry. Wiping her eyes and sobbing, she turned around and looked at the mirror. In the mirror she saw the dog hanging and written on the mirror with a finger, in her dog's blood with drips and streaks hanging down from each letter, were the words... HUMAN'S CAN LICK TOO! A group of young girls were having a slumber party one night and began to exchange ghost stories. One girl claimed that the old man who had been buried earlier that week in the graveyard down the street had been buried alive. She claimed that if you tried, you could hear him still scratching at the lid of his coffin. The other girls called her bluff and told her that she wouldn't do it. They said she was too afraid to go down there to the grave that very night. They continued to challenge her and eventually she gave into the peer pressure and accepted their challenge. Since she was going to go alone, she needed to prove to the others that she actually followed through with the task. She was supposed to take a stake with her and drive it into the ground so the next day the girls would know that she had been to the grave. She headed off to the grave-site, stake in hand, and never returned. The other girls assumed she had "chickened out" and had just gone home instead. 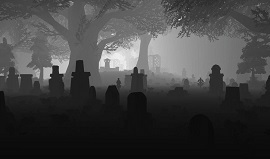 The next morning as they passed the graveyard they saw her there at the old man's grave. She had accidentally staked her nightshirt to the ground and when she tried to run from the grave, she couldn't... she died of fright right on the grave! A beautiful 8 year old girl, Izzy, got this adorable china doll for her birthday. She called her Sam. One day Izzy was playing with her doll until her mom called her for bed. Izzy put the doll in the basement and went up to bed. In the middle of the night she heard weird noises. Then she heard "China doll, china doll in the basement, china doll, china doll on the stairs, china doll, china doll in your parents room, now they're dead." Izzy fell back into a troubled sleep. In the morning she raced to her parents room and they were dead. She cried as her brother planned the funeral. Izzy did not play with Sam that day. She went up to bed early and fell asleep. In the middle of the night she heard chanting again. China doll, china doll in the basement, china doll, china doll on the stairs, china doll, china doll in your parents room, china doll, china doll in your brothers room now he's dead." Izzy shivered and fell into another troubling sleep. In the morning she went to her brothers room, he was dead. She spent the day in her room and wouldn't come out. Night fell again and she went to sleep. She heard the chanting again. "China doll, china doll in the basement, china doll, china doll on the stairs, china doll, china doll in your parents room, china doll, china doll in your brothers room, china doll, china doll in your room." 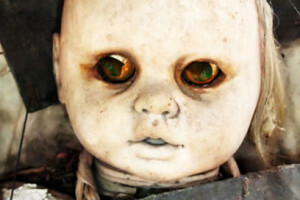 She gazed up to see the doll. "Now you're...dead!" The police found her the next day with no sign of the murderer. All they heard was chuckling in the distance. The chuckle of a brown haired, brown eyed china doll, on the hunt for her next victims. A young couple were delighted to purchase the old-fashioned house in the Stuyvesant Square section of Philadelphia. They moved into their dream home in the winter of 1889, bringing their six year old daughter with them. There was a lot of refurbishing to do, so the little girl tended to go up to the attic to play while her parents were occupied with the house. It wasn't as bad as it sounds, because the previous owners had converted the attic into a playroom. It even had a fireplace at one point, but it was currently boarded up. Exasperated, and perhaps a little hurt the the child was not being responsive to her attentions, the mother finally asked, "What's so interesting up there in that stuffy room?" "It's the little boy with the shiny buttons," the child replied. "He's so much fun to play with!" "What little boy?" the mother demanded, wondering if a servant child had stowed away in the room. She went to investigate, but found the room empty. Certain that her daughter was just being contrary, she urged her husband to discipline the child. At her father's stern voice the little girl became hysterical. She kept repeating that there was a little boy and he wore a blue jacket with lots of shiny buttons on it. As her father listened, he became more and more curious. Formerly a seaman, he realized his daughter was describing a child's sailor suit, complete with the brass buttons. The girl's father made some inquires about the Cowderlys, the family that lived in the house before them. He learned that they had come from England, bringing their children with them, two boys and a girl. The youngest child, a boy, was born retarded. The neighbours described the youngest boy as a sweet innocent child, but added that Mr. Cowderly was ashamed of him and tried to prevent him from being seen outdoors. According to the boy's parents, the neighbours continued, the young boy would often sneak out to go down to the river. The story goes on to say that one day he fell in and drowned. His body was never recovered, but his cap had been found floating in the river. Shortly after the disappearance, the Cowderlys put the house up for sale and, leaving Philadelphia, dropped out of sight. The former seaman's suspicions were now thoroughly aroused. He accompanied his little daughter to the attic and asked her to show him where the little boy came from. She pointed to the boarded up fireplace. Her father called in workers to open it and then to remove the mortar that cemented up a cavity beside the chimney. As the mortar was chipped away, the corpse of a small boy was revealed. He was clothed in a little blue sailor jacket with four rows of brass buttons down the front. Further examination revealed that the back of the child's head had been crushed by a violent blow. The little boy was murdered! In 1897, a family named Otto lived in a nearby house in Key West, Florida. They owned a plantation and had a lot of servants working for them who they treated very badly. One servant girl gave their son, Gene, a present of a doll. What the Ottos didn’t realise was that this servant girl knew voodoo. Many Strange things began to occur in the Otto household. Many neighbours claimed to see Robert move about from window to window, when the family were out. Gene began to blame Robert for mishaps that would occur. The Otto's claimed to hear the doll giggle, and swear they caught glimpses of the doll running about the house. The Flying Dutchman is a legendary cursed ship that was doomed to travel around the Cape of Good Hope in South Africa for all eternity. It was made famous in the movie Pirates of the Caribbean. The legend of The Flying Dutchman started in 1641 when a Dutch ship sank off the coast of the Cape of Good Hope. The captain, VanderDecken, failed to notice the dark clouds looming and only when he heard the lookout scream out in terror did he realise that they had sailed straight into a fierce storm. The captain and his crew battled for hours to get out of the storm and at one stage it looked like they would make it. Then they heard a sickening crunch - the ship had hit treacherous rocks and began to sink. As the ship plunged downwards, Captain VanderDecken knew that death was approaching. He was not ready to die and screamed out a curse: 'I WILL round this Cape even if I have to keep sailing until the end of time!" So, even today whenever a storm brews off the Cape of Good Hope, if you look into the eye of the storm, you will be able to see the ship and its captain - The Flying Dutchman. The legend goes that whoever sees the ship will die a terrible death. "A strange red light as of a phantom ship all aglow, in the midst of which light the mast, spars and sails of a brig 200 yards distant stood out in strong relief." It's pity that the lookout saw the Flying Dutchman, for soon after on the same trip, he accidentally fell from a mast and died. Fortunately for the English royal family, the young midshipman survived the curse to become The King of England! 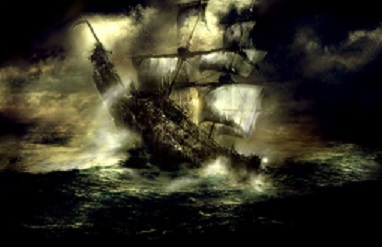 The Flying Dutchman appeared as the ghost ship in the movie Pirates of the Caribbean. It’s also featured in the novel "Castaways of the Flying Dutchman" by Brian Jacques. 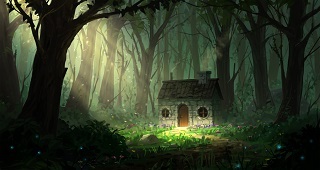 There was once a woman who lived by herself in a quaint house in the country. Her husband had passed away about 5 years back and she was planning on moving soon. One day, while packing up some of her husband’s things, she noticed that the temperature dropped really low. She walked down the hall to check the thermostat, but when she got there it showed no difference in temperature. She thought about it but figured that it must be broken. She decided that she would call someone the next day to fix it. 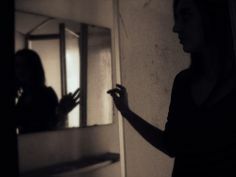 When she passed the mirror on the wall on her way back she thought she saw a movement of shadows in the reflection. Then the temperature suddenly returned to normal and when she looked back at the mirror nothing was there. She shrugged and went back to packing. A few weeks later a friend of the woman's stopped by to say Hi. She knocked and knocked but there was no answer. The next day a police officer came out to investigate, but he found nothing but a few empty boxes and the TV on. It was put down as an unsolved case. The house was soon cleaned out and put out on the market for sale. For many years the house was empty, what with all of the stories going around about it. But one day a small family consisting of a mother, father and daughter moved from the city into the house. ing from behind the reflection of her bed. But just then her parents came in to tell her that someone was coming the next day to fix the thermostat and that she'll have to deal with it for a while, but when they finished saying this the temperature went back to normal. The parents said never mind. A few weeks later the temperature dropped again. The girl was brushing her hair at the time, in front of her mirror. She saw the shadow behind the reflection as it started to creep towards her. She screamed. Her parents came in asking what happened. She told them but they didn't believe her. She tried to make them believe her but it was of no use. They took her to a psychologist to get her help. When the girls parents came home they had no one to come home to. The Police report said another unsolved case... The house still stands to this day. There was an old woman who had no family still living. Her only friend was a little white dog who went everywhere with her - with one exception. The dog loved the fireplace in winter, and after the old woman went to bed he would sometimes go and lie in front of the warm coals. Usually though, the dog slept at the very edge of the bed on a throw rug. 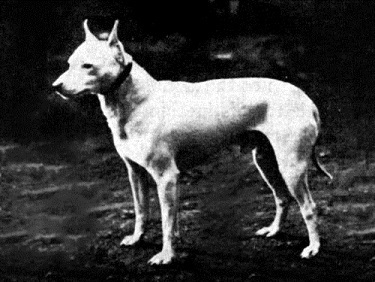 The woman wouldn't allow the dog on the bed with her, but if she became frightened or had a nightmare, she would put her hand down to the little white dog and he would lick it reassuringly. One night the woman was reading her newspaper just before going to sleep. She shivered and pulled the comforter up around her as she read that a mental patient had wandered off from a nearby hospital. No one knew if the patient was dangerous of not; he was a suspect in the murders of several women who had lived alone. The woman turned out the lights and tried to sleep, but she was frightened, and tossed and turned fitfully. Finally, she reached down to where the little white dog slept. Sure enough, a warm, wet tongue began to lick her hand. The woman felt reassured and safe, and left her hand dangling off the bed as she turned and settled in comfortably. She opened her eyes for a moment and looked through the open door into the living room. There in front of the fireplace, sat her little white dog, gazing at the coals and wagging his tail. Down beside the bed, something was still licking her hand. One morning, John Sullivan found himself walking along a street downtown. He could not explain what he was doing there, or how he got there, or where he had been earlier. He didn't even know what time it was. He saw a woman walking toward him and stopped her. "I'm afraid I forgot my watch," he said, and smiled. "Can you please tell me the time?" When she saw him, she screamed and ran. The he noticed that other people were afraid of him. When they saw him coming, they flattened themselves against a building, or ran across the street to stay out of his way. "There must be something wrong with me," John thought. "I'd better go home." He hailed a taxi, but the driver took one look at him and sped away. "This is crazy!" he said to himself. John did not understand what was going on, and it scared him. "Maybe someone at home can come and pick me up." he thought. He found a telephone and called home, expecting his wife to answer. Instead, a strange voice answered. "Is Mrs. Sullivan there?" he asked. "I'm sorry, she isn't," the voice said. "Her husband died a few days ago in a horrible car crash, she's at his funeral." A sixteen year old boy worked on his grandfather's horse farm. One morning he drove a pickup truck into town on an errand. While he was walking along main street, he saw Death. Death beckoned him. The boy drove back to the farm as fast as he could and told his grandfather what had happened. "Lend me the truck," he begged. "I'll go to the city. He won't find me there." His grandfather lent him the truck, and the boy sped away. After he left, his grandfather went into town looking for Death. When he found him, he asked, "Why did you frighten my grandson that way? He is only sixteen. He is too young to die." "I am sorry about that," said Death. "I did not mean to beckon to him. But I was surprised to see him here. I have an appointment with him this afternoon in the city." Richard was living in a not-so nice neighbourhood with his parents. Their house was badly in need of repair and none of the windows or doors ever locked properly. Richard complained to his mom about not being able to sleep because of the "scratching" noises in his room, his mom assumed that it was rats, or that some cat had managed to get in the house again and was in the room somewhere. After turning on the lights and not seeing any sort of animal, she told Richard to go back to bed. So Richard went back to bed and was awakened almost immediately again by the scratching. Insistent, ceaseless. He still couldn't tell WHERE the sound was coming from, but this time, he decided to ignore it. So he fell asleep again. Richard had no idea how long he'd been asleep when he suddenly sat up in bed, crying out, his hands flying to his back. He'd been bitten in the middle of his back while he slept, yet he'd been LYING on his back. Richard decided that things were just too weird and went to get his dad. His dad looked at his back. The spot that hurt certainly didn't look like a bite. It looked more like a puncture wound. So he flipped on the bedroom light and inspected Richard's bed. There was a hole in the fitted sheet and some of the mattress stuffing was showing through the hole. At a loss to explain how it happened, Richard suggested that maybe a spring had come through, so Richard's dad flipped the twin bed over to see if the box springs were the culprit. 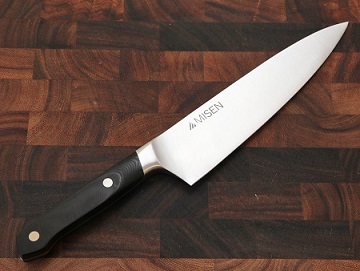 What he found was a long knife stuck in the mattress, pointing upwards, towards where a person might lie. He also found mud and dirt under the bed, the exact length of a person. Checking immediately outside the window he found fresh footprints in the mud leading to and then away from the window. Someone had slipped into Richard's room through the unlocked window and lain under his bed. 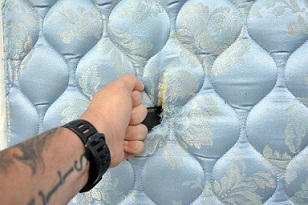 The scratching sound he heard was the person using the knife to dig through the box springs and mattress to kill him!! Lucy's parents found her body at the bottom of the stairs. They guessed she was on her way to the bathroom without switching on the hallway light and had fallen down the stairs breaking her neck. Arabella, the favourite family doll, was found beside her body. She was......smiling. Two gentlemen were working in the town's small general store. The store was quiet and no customers were shopping until she walked in. A small frail woman dressed in grey entered the store, and proceeded toward the dairy section, saying nothing. She picked up a glass container of milk and, without paying for it or even glancing at the gentlemen, walked out of the store. The same small woman dressed in the same grey dress entered the store, grabbed a glass container of milk, and left without paying. Again the men tried to follow after her, but she was nowhere to be seen.A few days later, the incident occurred again. After a couple of weeks, she appeared once again. The same small woman, dressed in the same grey dress, entered the store, paid no attention to the men, snatched a glass container of milk, and vanished out the door. The men, slightly more prepared this time, quickly followed the woman out of the store. She hurried down the town's main street and the men found themselves having to run to keep up with her. She hastily turned down a dirt path, just at the edge of the woods. This is where the men lost her. They trekked on further and came to a small cemetery neither of them knew existed. Suddenly, they heard a small noise. Concentrating, they identified it as a baby's cry...it was coming from the ground. The ground from which it was coming from was in front of a fresh gravestone marking the death of a mother and her infant who were buried together. Unsure of what else to do. the men quickly found shovels and exhumed the coffin. The crying became louder as they dug. When they reached the coffin, they pried off the lid and inside found the small, grey-dressed woman...dead...with a live, crying infant in her arms...and three empty glass containers of milk. The poor child was mistakenly buried alive and the spirit of her deceased mother kept her alive until she was found. Lisa's parents had gone to a party for the evening. And all poor Lisa had to do was stay home and watch her two little siblings, making sure they didn't get in any trouble. Wishing she were out hanging with her friends on a clear and beautiful Friday night instead of at home baby-sitting the two kids, Lisa flicked on the TV in the den. The kids were in the next room, the living room, playing with their toys. After flipping the channels for what seemed like hours, she finally came across a made-for-TV movie that looked pretty good. A romance, her favorite. As Lisa started to settle into the movie, the kids came in, saying that they were hungry and wanted something to eat. So while the kids took over the television, Lisa went into the kitchen to make spaghetti for the three of them. Just as everything was about to be finished, the phone rang. Lisa went to answer but her little brother got to it first and said, "Hello? Smith residence." No answer. "Gimme the phone!" Lisa said, snatching from her brother. "Hello, who is this?" Lisa demanded. "I'm near" said the voice on the other side. "Near where?" Lisa replied, but there was nothing but a dial tone. A little shaken, Lisa checked on the kids and finished preparations for dinner. She set up the table and dished out spaghetti for everyone. After everyone chowed down, the kids decided to take a nap on the couch while Lisa finished up the movie. As she turned on the TV, she saw it was almost over. "Great... she mumbled right before the phone rang again. Forgetting the previous episode, she ran to the phone before it woke the kids and shattered her peace. Snatching up the receiver, she blurted, "Hello?". "I'm closer" reported the other end. "Huh, excuse me?" said Lisa. But once again, nothing but a dial tone. Lisa was bugging out now. "I'm near, I'm closer?" "What the heck?" she wondered aloud. Deciding to get to the bottom of it she called the operator. "Yes, how may I help you?" the operator said. She walked over to the kids and woke them up. She didn't want to scare them but she had to have them awake in case of emergency. Lisa deliberated on calling her parents, but she decided that she is old enough to handle this herself. "I'm 17, and I'm brave" Lisa knew, "I can handle this". Just as she was summoning her courage, the phone rang. Lisa told the kids to stay quiet and on the couch. She answered the phone with a faint, "Hello?" The weirdo said, "I'm here now, and my, it is so sharp..." He giggled in the background.. "Huh? Wh.. What's so sharp?" Lisa blurted. "Where are you?" But the man hung up. Instantly the phone rang again. It was operator. "Get out now! Those calls are coming from inside your house! I will call the police! Get out!" Lisa slammed down the phone, grabbed her keys and the kids and flew out the front door. They got in the car and locked all the doors. All of a sudden, police cars came roaring up the driveway. One car checked on the kids while four policeman burst into the house. They searched everywhere until they finally came to the attic. Upon going in they found a young man standing in the corner with a cellular phone and a butcher knife, getting ready to head downstairs. Back in the 1890's when trains of the Santa Fe Railroad first began to run in the vicinity of Ardmore, Oklahoma, one was held up by bandits seven miles from town where the tracks crossed Caddo Creek. Afterwards the robbers retired to an old house, where they divided and quarrelled over the spoils. One robber was shot and killed. It is a tradition that part or all of the booty was hidden for a time in or about the house. People soon began to say that the ghost of the murdered bandit walked about the place trying to find where the money was hidden and for many years nobody was willing to live there. However, about seven years ago, a family named Lynch moved into the deserted building. One afternoon, in the summer, Mrs. Lynch left her two oldest children at home and crossed the fields to visit some neighbours. An hour later, she heard her children screaming and ran out with her friends to learn the cause. Almost in hysterics, the youngsters came flying along shouting that someone was tearing the kitchen to pieces and that the tea-kettle was laughing and singing. Mrs. Lynch and others went to investigate. 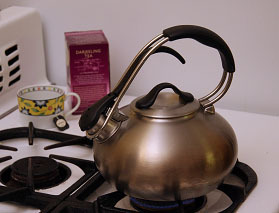 They found the tea-kettle steaming in the middle of the kitchen floor. A fire was burning in the cook stove, though none had been burning in it when Mrs. Lynch left home. The mystification of the onlookers was changed to horror when they observed that drops of blood were sprinkled about. The next day, the Lynches moved out and no family has lived in the building since . . .
From the New York Times, Reprinted in a textbook, Basic Writing.Ellis Perkins, who lives in the vicinity, had the latest known experience in the old dwelling. One afternoon, about four years ago, he was caught in a heavy rain storm while hunting. The only shelter . . . was offered by the old house, so he and his bull dog ran into it to get out of the rain. He walked upstairs and looked around the second floor, but there was no sign of recent occupancy. He shut the door at the top of the stairway and descended. As his foot left the lowest step, his dog sprang around and looked toward the top, his hair bristling; then began to bark as though he scented the presence of a stranger. Mr. Perkins said that he also looked back toward the top of the stairs. Under his gaze the door knob turned. The door opened, as though to permit someone to pass on to the stairway, and closed noiselessly. The hunter waited for nothing more. Followed by his yelping dog, he sprang to the front door and rushed out into the downpour. The wind must have blown the door open, friends tell him, but his invariable retort is, How could the wind have turned the door knob? A woman has just left a mini-mart after purchasing a few odds and ends for supper that night. She walks to her big four wheel drive vehicle and climbs in. She puts her bag over on the passenger seat along with her purse, she settles in and starts up the engine. She pulls out of the shopping centre, onto the main road. It's about 8:00 and she is trying to rush home to get supper started, knowing that her husband will be starving. As she drives she feels a chill run up her back, so she turns on a little heat. She has a very unusual bizarre feeling that she can't quite name. 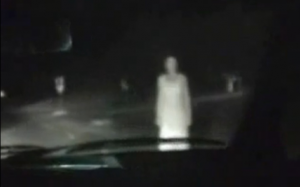 All of a sudden this maniac swerves by her car almost running her off the road. He stays alongside her car waving and pointing at her, swerving dangerously all the while. She's frantically trying to keep control of her car while trying not to run into this maniacs car beside her. She finally speeds up and leaves the weirdo behind her. She turns on the radio for some soothing, calming music. She's relaxing, trying to talk herself into a calm state after the incident with the unknown driver. All of a sudden she sees bright lights flashing her from behind. She glances in the rear view mirror and it's the same car, driven by the psycho she's just encountered 3 minutes ago. She ignores him and concentrates on the road only to be flashed again from behind by the glaring lights. She once again looks in the mirror back at him. Her forgotten radio station is interrupted by a news flash about police helicopters in the area, on the trail of a serial killer. She turns the radio off and concentrates on the road and turns her attention away from the pesky car behind her. She's only a few miles from home and again the car behind her flashes a bright blinding light straight into her rear view mirror. She's had enough of this guy but she's not bold or stupid enough to stop and confront him. She tries to lose him by going down some back roads. She's hoping he will go on his way and not follow. As she turns down another dirt road she sees his lights once again. She quickly picks up her cell phone and hits 911 quick dial. She tells the police the story of what's been happening. They assure her that they will send out some squad cars to meet her at her home, but she will need to drive around for about 10 more minutes so the police can get to her house before her. So she drives on, only to have the maniac drive up closer to her bumper, threatening to hit her car, flashing her each time. She is frantic now and can't wait to pull into her driveway. After about 10 minutes she heads down the road to her home and the safety of her husband’s arms. She sees the police cars ahead and suddenly feels all the pressure and frantic, wound up nerves in the back of her neck relax. She rolls into the driveway and the unrelenting car behind her rolls in behind her. The police are stationed outside her home in the bushes and in the neighbours bushes. As the frightened women jumps out of her running car and runs to her husband who is waiting by the garage, the police approach the old man in his car. They have their guns drawn and they instruct him to get out of the car with his hands up. He's shocked and doesn't understand why the police are pointing guns at him. He gets out and the police start frisking him against his car. When he's asked about the incident and why he wanted to scare the woman. He looks up with sad eyes and says, "I was simply trying to save her life, but she wouldn't let me help her". The police are baffled and they know that they have a senile man on their hands. They ask him what he means by "saving" her life. The man says, "If you'd check in her car you'll find him. He has a knife in his hand. He tried to kill her over and over again. I flashed my lights so she would look up and he would then lie back down in the back of the seat". Two policemen quickly run over and throw open the back door of the woman's car. A sharp glistening knife swipes out at the first policeman making no contact, the second policeman fire's immediately at the body and arm attached to the knife. The arm goes lifeless. 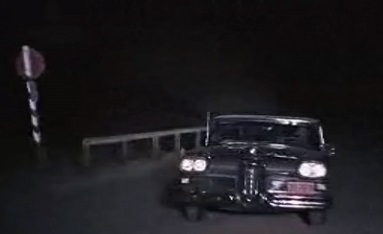 The police quickly pull the body of the dead serial killer out from the lady's back seat. He was still clutching the knife he was going to use to kill her! In a small town of Georgia there was an old man who had no legs. The only way he could move around was by dragging himself around by his long, long, nails. He was also a killer. He would sneak around the town and kill people with his long, long, nails. So, because of this, the people were ordered to go inside at exactly 6:00 pm and lock their doors until he was caught. One night a little girl asked her mom if she could go play at her friend’s house. The mother looked at the clock, it was 4:00pm. She told the little girl to be home by 5:45 because that’s when "click-click" came out. The little girl agreed and was on her way. She played and played but lost track of time because when she headed home, it was already 5:48. By the time she was close to her home it was 6:00 pm. She observed people locking their doors and calling in their kids. "Shoot, I'd better run" she thought. Finally she reached her street. But that's when she heard the noise...click click drag click click drag. It got louder and louder. She turned around and there he was, Click-Clack! She ran to her front door...click clack drag click clack drag... She pounded on the door but her Mother had fallen asleep...Click Clack Drag Click Clack Drag... The pounding stopped. She walks out of work at midnight, every agonizing step being felt by her swollen feet, having survived one of the busiest nights at the diner. She daydreams of the "things to do" list that has to be tackled tomorrow and the hot bath waiting for her when she gets to her house. Suddenly, she is brought back to reality when she hears footsteps falling in behind her. She strains to hear their rhythm, trying to assure herself it's just someone out for an evening stroll, or perhaps just needing to buy something at the corner store. Desperately she tries to keep her heart from pounding so loud that the whole neighbourhood isn't awakened. She picks up her stride and turns the first corner towards home. Convinced her imagination is working overtime until she acutely notices the heavy falling footsteps turn the corner and quicken their pace. She turns sharply, ready to face the unseen stranger but all she views is an empty side walk. Though no one appears to be around, the hairs on the back of her neck stand up, warning her of impending danger. She looks around for anything that will offer her safety, when she sees the local cemetery grounds-keeper tending to one of the graves. 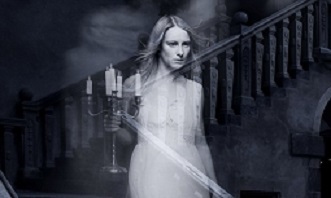 Quickly she reaches the cemetery's large cast iron gate and throws it open with a force that even surprises her. Running through the grounds, she is unaware that the footsteps have stopped short, refusing to enter this forbidden darkness of souls. She stumbles on the first mound encountered and scrambles to get up. Finally, getting to her feet, she realizes something is preventing her from moving. Looking down, she sees dirt encrusted hands rising from the bowels of the grave and encircling her ankles. She lets out a blood curdling scream and fights desperately to get released, but the gnarled hands hang on with an unearthly strength. Kicking as hard as she can, she loses her balance, falls backwards and begins being pulled under the soft soil. 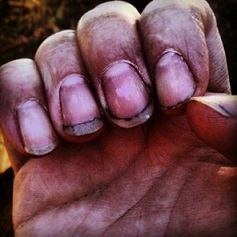 Down into the eternal darkness...down into the terror that lies beneath........Her fingernails claw at empty air and she brings them down, where they settle on the handle of a shovel, left behind from work done earlier in the day. She lifts it in the air and comes down hard on the imprisoning hands. The grip loosens for a split second, time enough for her to break free and scramble from their reach. 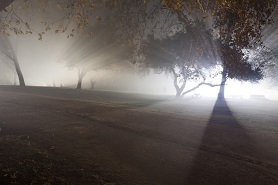 She quickly rises and looks for the grounds-keeper, knowing he is her only chance to survive. "Over here," she hears someone yell. "Come over here. I can protect you." The voice beckons her to a lake in the middle of the grounds. Searching the area with her tired eyes, she can't see who summoned her. Then, the waters start to stir and a man appears, rising from the water's ripples. She stares at the broken face. One eye, apparently injured in some long ago accident, is shut. The other taunting her with it's evilness. A large wart on his forehead is only overpowered by the scar stretching across his cheek. Out of the corner of her eye she spots the grounds-keeper and tries to break away from the force she finds enveloping her mind. A force so engulfing that it pulls her to the waters edge. She sees the beauty of the rippling water and feels an almost overpowering urge to slip into it's unspoken promise of safety. 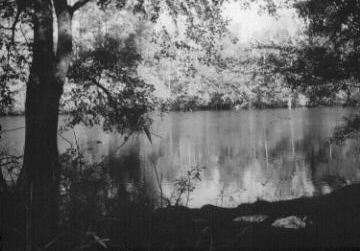 As she is about to enter into the velvety softness of the lake, a cat streaks by behind her, scared by some unheard noise in the night, and breaks her from her trance. She gathers her wits quickly and races off towards the ground's keeper. "He's the only one here to help me," she thinks. Getting closer to him with every stride. Begging for help as she runs toward him, she doesn't notice that he seems not to hear. 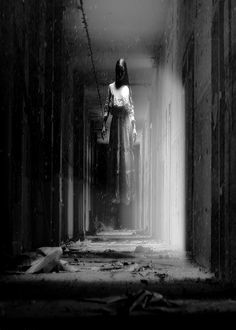 She only knows that a few more steps and she can be safe again.... a few more steps to someone who will guide her out of this "garden of terror"... a few more steps and she's on her way home...... just a few more steps ....... As she reaches him she feels her burning lungs about to explode. Her air supply exhausted by the marathon gate she never knew she was capable of. Her hands grab at the cape that he wears for protection against the cold, night air. "Help me please," she stammers, "I need your help to get out of here." He slowly turns around and her body shudders uncontrollably as she stares into the face of death. The last thing she hears is the unmistakable voice offering his frightful greeting........WELCOME! "Boomer! ", he yelled as the screen door slammed behind him. "Where is that darn dog? ", he thought as he headed for the shed where his fishing equipment was kept. Just then the springer spaniel came bounding around the corner of the shed; his tail wagging ninety miles a minute. "Bout time dog. Another 30 seconds and you'd been left behind." He gathered the pole and tackle box and started for the trail that ran behind his house and down to the lake. No matter how many times he'd been on the trail he was still awed by the beauty of the area. Trees grew as high as the sky. Flowers burst out as soon as the sun rose. 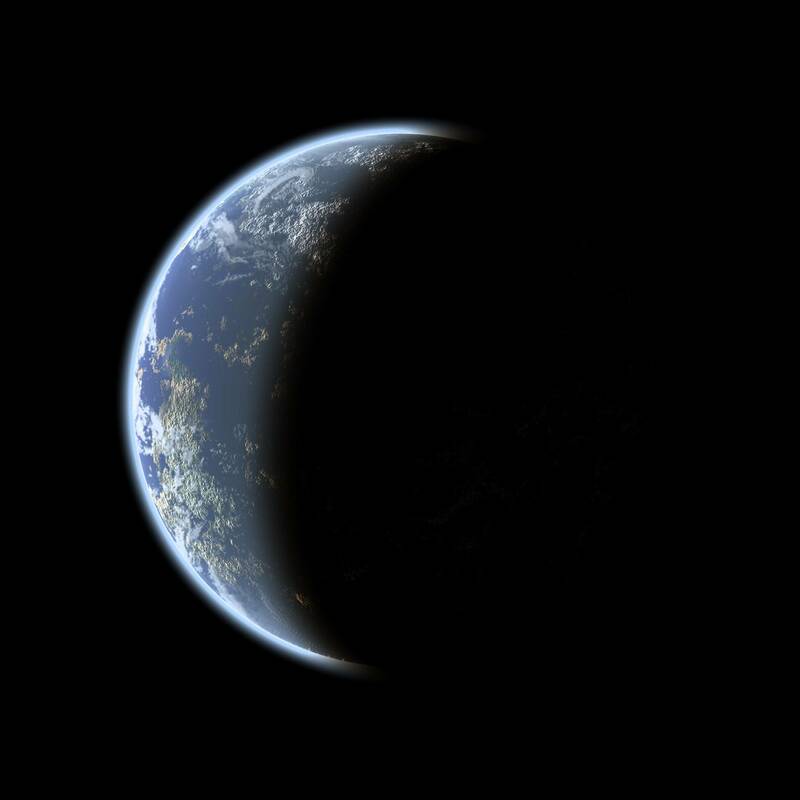 "Yep", he speculated, there was nowhere prettier on earth. He rounded the corner and caught site of the lake shimmering in the morning sun. He strolled over to the tiny boat moored at the landing. After he loaded his fishing gear he gentle lowered Boomer into the boat and climbed in behind him. He started rowing for the middle of the lake where his favourite fishing spot is located. He'd been coming to this spot for 6 months now and couldn't get enough of it. He really didn't catch a lot of fish but he was drawn back, time after time, anyway. Something kept him coming back to the lake, something pulled at him if he even missed a single day. He pushed those thoughts aside and let the beauty of the lake engulf him. Basking in the warmth of the sun, he settled down and started baiting his pole. He woke up with a start when Boomer let out a howl. "Darn", he thought, "I must have fallen asleep". He looked around and saw the sun already starting to set. He scratched his chin as he wondered what would have made him sleep the day away like that. As he sat, bewildered, he noticed his pole, next to him, hadn't been used at all. Just then Boomer sprang to the other side of the boat and let out another long howl. "What is with you, dog?" he snapped, but Boomer didn't stop and another moan escaped. Boomer started clawing at the wood located at the end of the boat. Confused by these strange actions, the man got up to investigate. He peered over the edge of the boat and there in the water, just below the surface, was a woman's face staring up at him. Her beauty startled him. So enthralled was he, that it took longer than it should have for him to realize she seemed in no distress being under water that long. His brain, trying to take all this in, wasn't registering as fast as it usually did. The soothing sound of the rippling water had lulled him into a false sense of contentment. As he reached down to the woman, hoping to help her out, the water sprung up and surrounded him pulling him into a pool of darkness. He was gone before anyone could have reacted. Boomer sat in the middle of the boat howling for the master that would never come back. Growling at the "thing" that emerged from the waves. The woman grinning at some well-kept secret. A young woman on her way to town broke her journey by staying with friends at an old manor house. Her bedroom looked out to the carriage sweep at the front door. It was a moonlit night, and she found it difficult to sleep. As the clock outside her bedroom door struck 12, she heard the noise of horses' hooves on the gravel outside, and the sound of wheels. She got up and went over to the window to see who could be arriving at that time of night. The moonlight was very bright, and she saw a hearse drive up to the door. It hadn't a coffin in it; instead it was crowded with people. The coachman sat high up on the box: as he came opposite the window he drew up and turned his head. His face terrified her, and he said in a distinct voice, "There's room for one more." She drew the curtain, ran back to bed, and covered her head with the bedclothes. In the morning she was not quite sure whether it had been a dream, or whether she had really got out of bed and seen the hearse, but she was glad to go up to town and leave the old house behind her. She was shopping in a big store which had an elevator in it -- an up-to-date thing at that time. She was on the top floor, and went to the elevator to go down. It was rather crowded, but as she came up to it, the elevator operator turned his head and said, "There's room for one more." It was the face of the coachman of the hearse. "No, thank you," said the girl. "I'll walk down." She turned away, the elevator doors clanged, there was a terrible rush and screaming and shouting, and then a great clatter and thud. The elevator had fallen and every person in it was killed! One afternoon, a couple was travelling on the road when all of a sudden at a far distance they saw a woman in the middle of the road asking them to stop. The wife told her husband to keep on driving because it might be too dangerous, but the husband decided to pass by slowly so he wouldn't stay with the doubt on his mind of what might have happened and the chances of anyone being hurt. As they got closer, they noticed a woman with cuts and bruises on her face as well as on her arms. They then decide to stop and see if they could be of any help. The husband that was travelling decided to get down and try to rescue the baby and he asked the hurt woman to stay with his wife inside the their car. When he got down he noticed two people in the front seats of the car but he didn't pay any importance to it and took out the baby quickly and got up to take the baby to it's mother. When he got up, he didn't see the mother anywhere so he asked his wife where she had gone. She told him that the woman followed him back to the crashed car. When the man decided to go look for the woman, he noticed that clearly the two people in the front seats were dead; a woman and a man, both with their seatbelts on. When he looked closer, he noticed that one of the dead was the same woman that was begging them for help! A young couple out on a date parked along an old country road to be alone. They were listening to the car radio and talking. Suddenly the music was interrupted by a news bulletin. "A convicted murderer has escaped from a hospital for the criminally insane. The man was mutilated in a car wreck following a high-speed chase and is missing his right hand. A temporary hook has been attached to his right arm, which will make him easier to identify. The criminal's name is ..."
The boy turned the radio off. He leaned over to his girlfriend, expecting that the frightening news flash would make her snuggle. Instead, she was so scared that she wouldn't even let him get close to her. "I'm afraid," she said. "Let's get out of here." The boy tried to convince her that they were in no danger, but she refused to listen. He decided that maybe she didn't like him as he had thought, and was just using this as an excuse. The girl reached over and locked her door as the boy angrily started the car. They pulled up in front of the house and the boy said, "I'll make sure it's safe first." He left the keys in the ignition but locked the door as he got out. He came around to her side to politely open her door, like a hero. For a long time he just stood there, looking down at the door. At first the girl couldn't figure out what was wrong; then she realized that her door was still locked. She smiled and unlocked it. 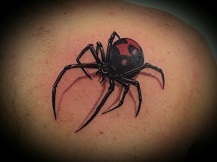 While Ruth slept, a spider crawled across her face. It stopped for several minutes on her left cheek, then went on its way. "What is that red spot on my cheek?" she asked her mother the next morning. "It looks like a spider bite", her mother said. “It will go away, just don't scratch it." Soon the small red spot grew into a small red boil. "Look at it now," Ruth said. "It's getting bigger." "That sometimes happens", her mother said. "It's coming to a head." In a few days the boil was even larger. "Look at it now", Ruth said. "It hurts and it's ugly." "We'll have the doctor look at it", her mother said. "Maybe it's infected." "Oh no" she thought. "I don't want visitors now, not now." But it wasn't a car bringing a visitor. It was an old hearse with maybe a half dozen small men hanging from the sides. At least, that's what it looked like. The hearse screeched to a stop. 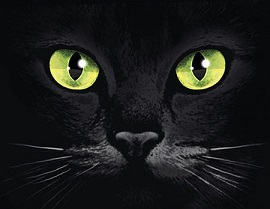 The men jumped off and stared up at her, their eyes glowing with a soft yellow light, like cats' eyes. She watched with horror as they disappeared into the house. A young man and his wife were on a trip to visit his mother. Usually they arrived in time for supper. But they had gotten a late start, and now it was getting dark. So they decided to look for a place to stay overnight and go on in the morning. Just off the road, they saw a small house in the woods. "Maybe they rent rooms", the wife said. So they stopped to ask. An elderly man and woman came to the door. They didn't rent rooms, they said. But they would be glad to have them stay overnight as their guests. They had plenty of room, and they would enjoy the company. The old woman made coffee, brought out some cake, and the four of them talked for awhile. Then the young couple were taken to their room. They explained that they wanted to pay for this, but the old man said he would not accept any money. The young couple got up early the next morning before their hosts had awakened. On a table near the front door, they left an envelope with some money in it for the room. Then they went on to the next town. They stopped at a restaurant and had breakfast. When they told the owner where they had stayed, he was shocked. "That can't be", he said. "That house burned to the ground ten years ago, the old man and woman who lived there died in the fire." Then the woman screamed. In the rubble was a badly burned table, on the table was the envelope they had left there that morning! Jerry was driving home late one night when he saw a young lady waiting by a bus stop. He stopped his car and told her that he didn't think the buses were running so late at night and offered her a ride. The fall night air was getting chilly, so he took off his jacket and gave it to her. Jerry found out that the girl's name was Mary and she was on her way home. After an hour’s drive, they arrived at her home and he dropped her off by the front door. Jerry said goodnight and went home himself. He drove to her house and knocked on the door. John told her about the ride he had given her daughter Mary, and had come back to get the jacket he had lent her. The old woman looked very confused. John noticed a picture of Mary on the fireplace mantel. He pointed to it and told the old woman that that was the girl he had given a ride. With her voice shaking, the old woman told Jerry that her daughter had been dead for many years and was buried in a cemetery about an hour’s drive away from there. Jerry got into his car and went to the cemetery.... 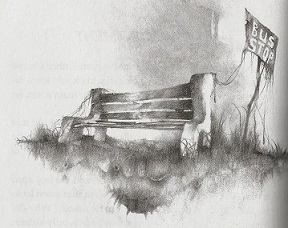 He found his jacket; neatly folded on top of a grave...the name on the gravestone was Mary! One time there was a little girl whose grandfather had just died. She had loved her grandfather very much and missed him a great deal. 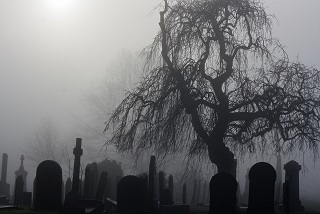 He was buried in a cemetery that was just a few hundred yards from her house, and she could see his grave every evening at sunset when she looked from her bedroom window. One night her parents were going out and the babysitter hadn't arrived yet. They knew she was a very reliable babysitter who would probably arrive in just a few minutes, so they kissed the girl goodbye and drive off. Hours passed and the babysitter had not yet come. The girl began to feel afraid. A storm was brewing outside. Thunder and lightning moved closer and closer to the house as the wind started howling. Suddenly there was a bright flash of lightning without any sound and the power in the house went off, leaving the girl in total darkness. The wind blew the trees around and branches broke off, crashing against the house and falling to the ground. Alone in the dark, the girl was very scared. The phone rang. The girl went to the phone, hoping it was her parents. She said "Hello? ", and waited. The line seemed dead. Then, sounding so very far away, a voice came over the phone. It belonged to her grandfather. "Don't be afraid, honey. There's nothing to fear. You'll be safe in the house. The storm will pass over." Then the phone went deathly silent. The girl went to bed, calm and happy. She slept well in spite of the raging storm. The parents came home and found their daughter asleep, and, unwilling to wake her, they left their questions until the morning. They were horrified when the babysitter called the next morning to explain that she had been in a wreck at the leading edge of the storm. She was unhurt, but what had their daughter done alone in the house? When they woke her, she told them what had happened. When they didn't believe her, she smiled and pointed out her window to what she had seen the night before. The phone line from the house was intact out to the first pole, but then it was broken by fallen limbs, and the cable drooped into the cemetery. The end of the broken line lay across her grandfather's grave. "I am sorry about that," said Death. "I did not mean to beckon to him. But I was surprised to see him here. I have an appointment with him this afternoon - in the city." One night, my parents went out to a party and said I could have a friend round to sleep. Katy (my friend), decided we should pull faces and scare ourselves silly. I switched the light off, turned around to sort my face out and when I turned to face Katy again, she was gone. "ha-ha, very funny Katy, come out...."I said, with my stomach churning in fear. "I’m here, turn around, I’m here!" I heard her voice. Slowly, I turned round and let out a piercing scream as I noticed that my friend's pace was dripping with blood and pus. She had a thin smile on her lips and sat crossed legged on the floor. I grabbed a heavy porcelain ornament and swung it behind me, ready to hit her away. Just before it reached her, she called out "I’m your friend!" and disappeared. I dismissed this incident as a bad dream and a few weeks later, visited Katy’s house. Her mother opened the door. She looked pale and her eyes were carrying dark bags. "Are you okay? Can Katy come to the park?" I asked cheerfully. Katy's mum scowled. "What the heck are you doing? Leave me alone! Katy died 4 weeks ago!" she screamed and swore at me before slamming the front door. When i got home feeling rather hurt and confused, a misty figure of Katy appeared and said "sorry, mum's always like that" and she smiled a thin smile on her lips, crossed legged on the floor.